In a technology article at ZDNet, concerning Microsoft and the Mozilla Firefox teams, Microsoft extends an invitation to work together. Microsoft extends a helping hand to Firefox developers – but why? 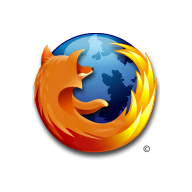 by ZDNet‘s Adrian Kingsley-Hughes — It seems that Microsoft wants to help aid in the development of the Firefox browser and has extended an invitation to the Firefox and Thunderbird teams to visit with the right people to get Firefox running under Vista. The invitation came in the form of a message posted last Saturday by Sam Ramji, Director of Open Source Software Lab at Microsoft to the mozilla.dev.planning newsgroup. But why? In my estimation, Microsoft has much to gain from getting more of the inside scoop from the Open Source developers than do the Open Source developers to gain from Microsoft. Microsoft has slowly started to loose market share in the browser battles, and what better way to stay on top of what the Open Source community is doing then to have an inside perch. One of the reasons Microsoft has been pushing for their new IE7 browser is because of the improved technologies in the Firefox browser for tabbed browsing, advanced security features, clearing private data, faster browsing, improved pop-up blocker, integrated search, live bookmarks, and a number of other features that really make Firefox standout when compared to Internet Explorer. Now, it is not like the Firefox code is secret, after all it is an open source code, but how much sense does it make to give a head start to someone that would like to do away with you in the first place? In this particular case are the Mozilla developers going to call Microsoft, friend or foe? Who really is the fox here?